Many congratulations to Joanne Setter who has passed her final exams to become a member of the Association of Accounting Technicians (MAAT) . 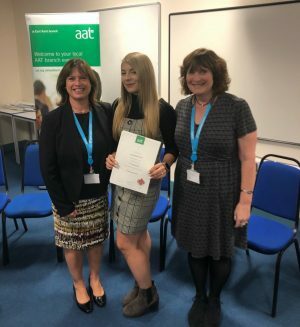 Jo joined us in 2013 as a Commercial Apprentice and after initial courses in Business and Bookkeeping undertook a further three years study to obtain the AAT qualification with a pass mark to merit a distinction. Of course any business is only as good as it’s people and in an SME it is necessary to be an all- rounder. To that extent Jo has undertaken not just admin and accounting tasks but worked on customer liaison, marketing and attends most exhibitions demonstrating an excellent rapport with customers. Are YOU interested in working with our friendly team at Duplex? Whatever your particular field of speciality, such as sales or technical and wherever you are based in the country we would be delighted to hear from you. Our philosophy is that It’s the person we are interested in. Send us a your CV – we might just have an opening!